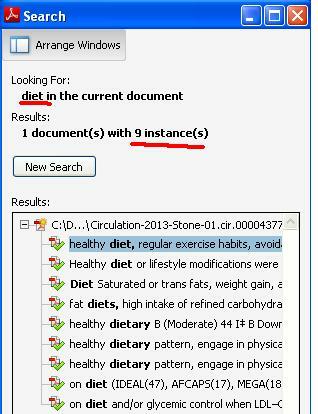 ACC/AHA Cholesterol guidelines 2013 : An one minute extract ! I share my thoughts after going through this 85 page land mark document ! In whatever way I look at it ,It keeps both physicians and their patient population guessing in a confused sate regarding their cholesterol levels the treatment modalities ! It seems to revolve around a single point agenda, how to fit a single drug called statin in the scheme of things ! 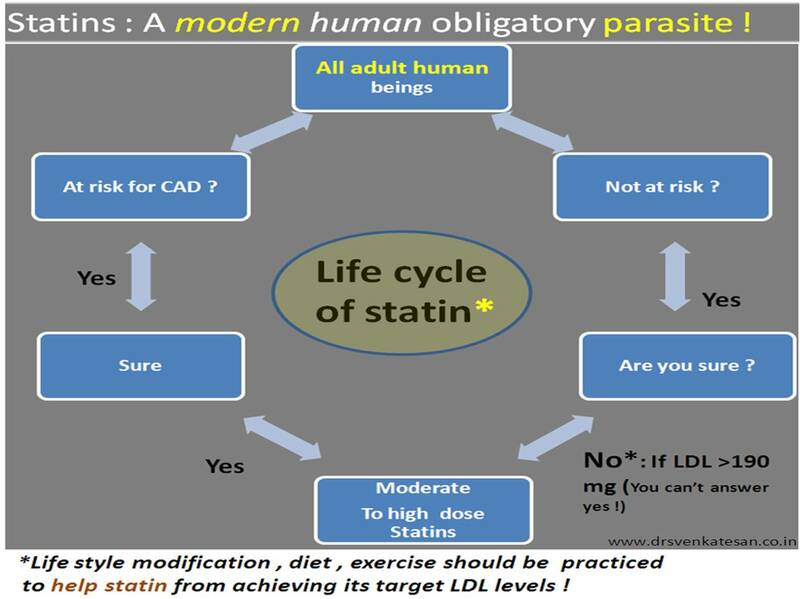 What if , a new drug comes and statin is proved not an angel in our fight against the evil of atheroscerosis ! There is generally no need to to monitor the lipid levels as long as patient is comfortable. To confirm my assumption I did a curious word search in this 85 page document . 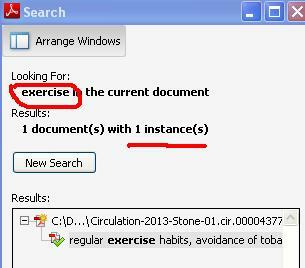 and exercise just once in the entire document ! The importance of diet and body activity which are the primary determinant of serum lipid levels is mentioned in a cursory fashion in this global guideline meant to control the total cholesterol load and atherosclerosis of our population . Meanwhile . a drug which acts in a physiological cell servicing metabolic path way in a complex fashion is glorified 814 times !Do you still think this post is is biased ?